Our new bedding came today! I love it. It is like it was made just for me. Can’t wait to get it on the bed! And even more so, completely redo the bedroom. Last year we started a new tradition for Desi, giving him a christmas ornament. 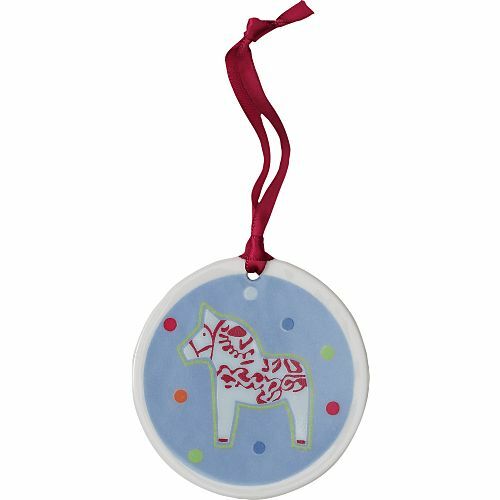 We found a wonderful series by Hanna Andersson, each year they have a pretty porcelain ornament with a dala horse on it. It is only $8 with all of the proceeds from its sale benefiting the Hanna Andersson Children’s Foundation. It also has family meaning for us since his great-grandma is from Sweden. We are looking forward to seeing this year’s design! You are currently browsing the Handcrafted Delights weblog archives for September, 2008.